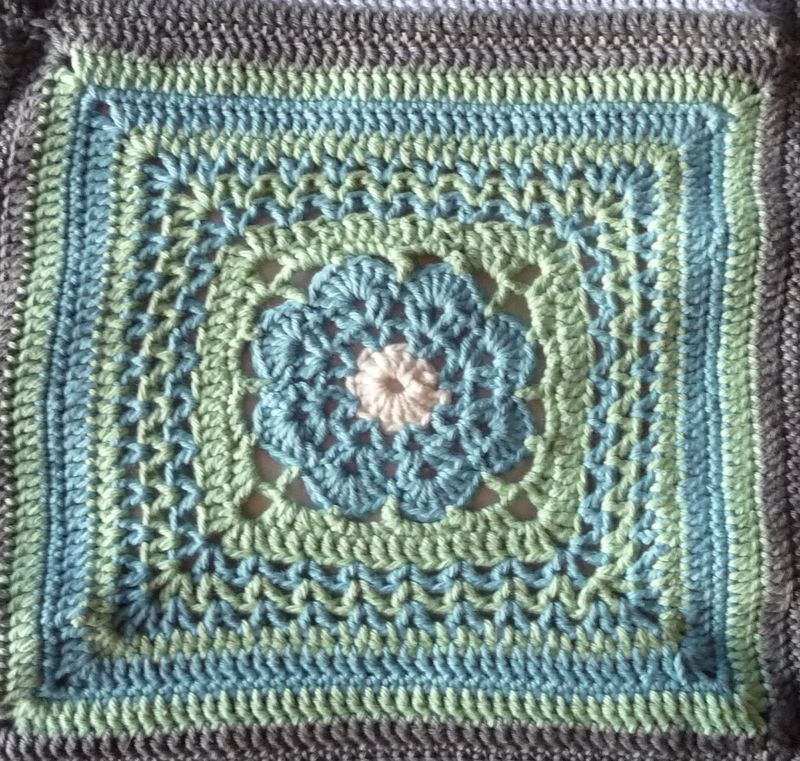 Another fun square. 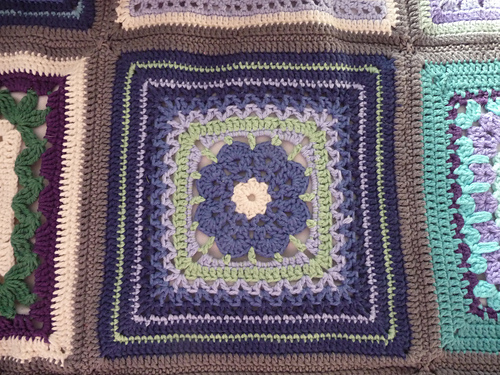 I adore the V-stitch, I have used it before so this was not a new stitch for me. A V-Stitch is very easy to do, it is simply a Dc into a stitch, then a chain stitch and then another Dc into the same stitch, then you see that it looks a bit like a V. And that is all. Easy Peasy, but very decorative. 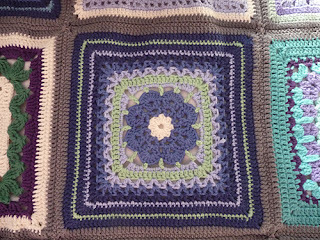 I loved the colours I chose, only three in the whole square, I think that around this point I was scared the blanket would look to busy with all the colours we had chosen and tried to only use a few colours in each square (until I started running out of yarn and had to use multiple colours again). 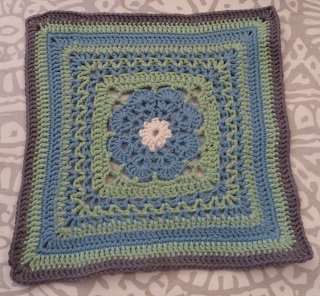 But these colours look a lot like sea colours so I am happy. It looks Mediterranean somehow. 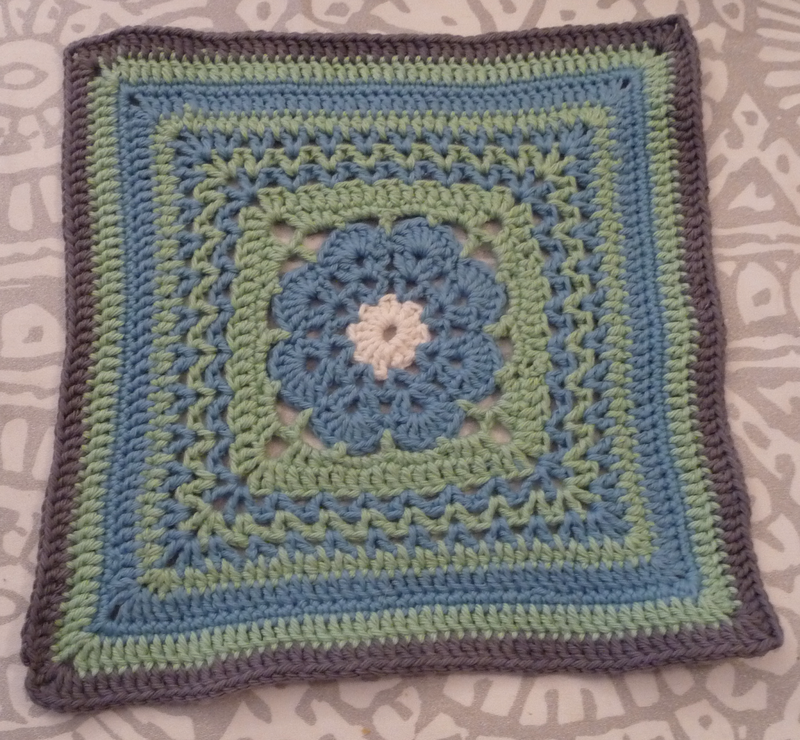 This square was 27 grams and 21x21 cm. 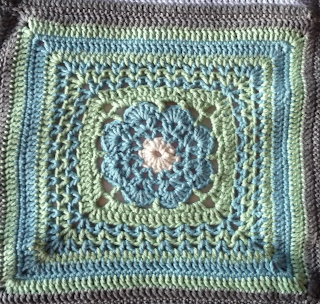 *Kio chose another palette than me, which gives a whole other feel, her square feels more like the North Sea in the fall just before a storm I think. And I like it, it is like night and day.